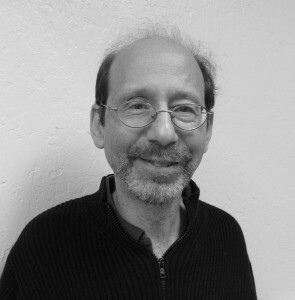 Dr. Mendelsohn’s current research in regenerative, systems, and synthetic biology spans a broad range of interests from understanding the basic mechanisms that underlie aging, to characterizing the differences between regenerative capabilities in humans and “immortal” organisms like planaria that have essentially unlimited ability to regenerate their body, due to the presence of somatic pluripotent stem cells to the development of chassis (organism) independent standardized parts for synthetic biology. The goal of Dr. Mendelsohn’s research is to amelerioate aging processes by using synthetic and computational biology, especially artificial intelligence and machine learning, to engineer enhanced human regeneration and rejuvenation. Development of appropriate dynamic computer simulations of aging biological systems is ongoing. At the heart of his approach is the creation and insertion of new biological programs into cells to augment pre-existing incomplete regeneration mechanisms. Dr. Mendelsohn is focused on research to advance the goals of the AMRITA Initiatiative. To that end, he is investigating ways to restore youthful epigenetic signatures to aged cells. Another set of projects seeks to modulate Wnt, BMP and neuregulin signaling to block fibrosis and promote repair and regeneration in human diseases such as idiopathic pulmonary fibrosis, heart failure and chronic kidney disease. Dr. Andrew Mendelsohn has been deeply interested in the biology of aging and regeneration for many years. He founded the 501(c)(3) non-profit Regenerative Sciences Institute in 1994 to pursue research at the interface of aging, regeneration, and what is now called synthetic biology. He is an early proponent of synthetic biology, before the field was officially named and recognized, having the engineereed autolysing cell-penetrating bacteria for in-vivo gene transfer to mammalian cells in 1989-1990 and developing the central idea for protein-protein based logic circuits in yeast in 1997 in an early synthetic biology paper. Beyond a keen interest in interfacing native and synthetic “programs,” Dr. Mendelsohn sees merit in applying the lessons of planaria, an “immortal” animal to human biology. In addition to a strong background in basic research, Dr. Mendelsohn has been involved in the biotechnology sector for 10 years as Director of Molecular Biology at Panorama Research and is a co-founder of several biotech startups including Wntgen LLC, which focuses on antagonizing Wnt signaling to treat aging associated illness such as macular degeneration and fibrotic diseases such as idiopathic pulmonary fibrosis. He holds patents on novel detection systems for registering protein interactions and functional relationships and on engineering protein fusions. He has been awarded five NIH small business administration SBIR grants, and managed more than a dozen others to translate basic research discoveries into therapeutics. He recognizes both the potential and limitations of the commercial sector in fostering creative solutions to unsolved major medical problems, such as aging and its associated diseases. Mendelsohn AR, Larrick J. 2014. Systemic factors mediate reversible age-associated brain dysfunction. Rejuvenation Res. 2014 17:525-8. Mendelsohn AR, Larrick JW. Prolonged fasting/refeeding promotes hematopoietic stem cell regeneration and rejuvenation. Rejuvenation Res. 2014 17:385-9. Mendelsohn AR, Larrick JW. 2014. Paradoxical effects of antioxidants on cancer. Rejuvenation Res. 17:306-11. Mendelsohn AR, Larrick JW. 2014. Partial reversal of skeletal muscle aging by restoration of normal NAD? levels. Rejuvenation Res. 17:62-9.